Welcome to the Scraps to Treasures Blog Hop! She will be sponsoring something from her Etsy shop. If you've hopped here from Amanda's blog then you are on the right track. If you've just started the hop, you can go back to the beginning at Robin's Blog to see all the wonderful projects. This is a fun-filled hop dedicated to the usage of our stash of scrap papers. 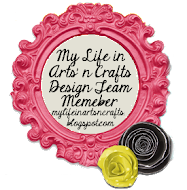 There are several great crafters along this hop who have used their scraps to make something beautiful to share! Have a fabulous time hopping thru! 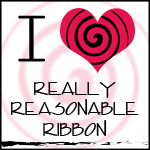 for a chance at the blog candy! I ordered from Ginger Snap Scraps . The pattern is from Scraptastical Kreations Tweet Hearts set. Here is the full line up.. just in case you need it. 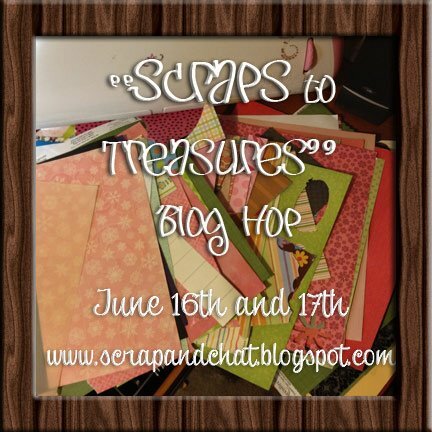 dig into your scraps and get creative! Super cute card. Love the Spring-like feel it has. Love the cute little bird who stopped by out of scraps! 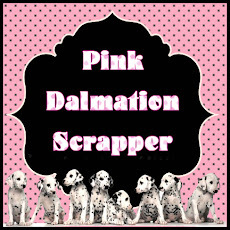 I am very excited for my scraptime to come around. Thanks for all the inspiration! Cute card. Love the patterns and the bird. What a cute little birdie card! Thanks for being part of the hop with me. Jearise in Lorby's World.